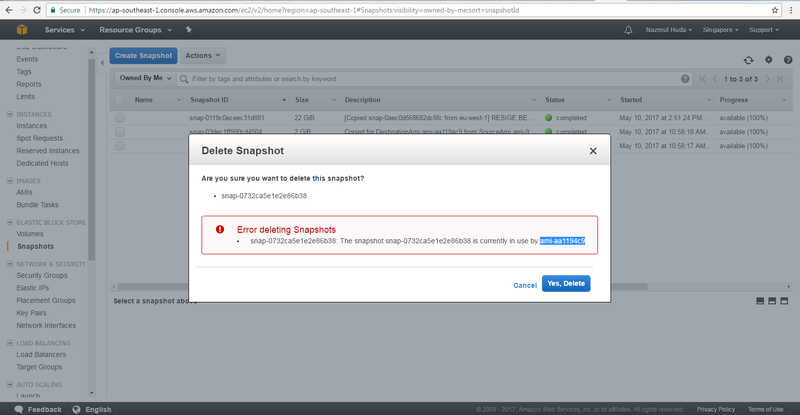 In that blog we will show how to fix the Delete Snapshot that failing for the error snap-xxxxxxxx The Snapshot snap-xxxxxxxx is is currently in use by ami- xxxxxxxx. 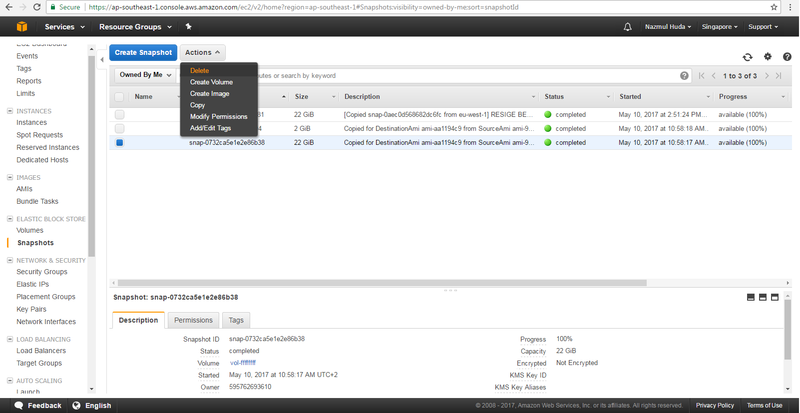 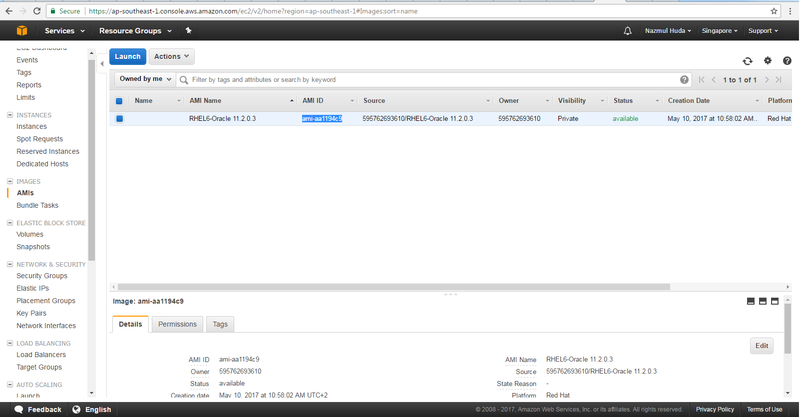 From IMAGES-AMIs in EC2 Dashboard, you can search the copied AMI. 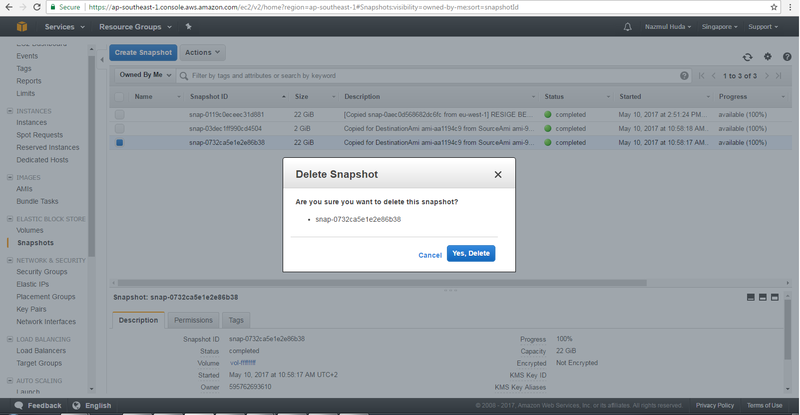 Until you dont Derister the AMI you will not be delete the snapshot associate with the AMI. 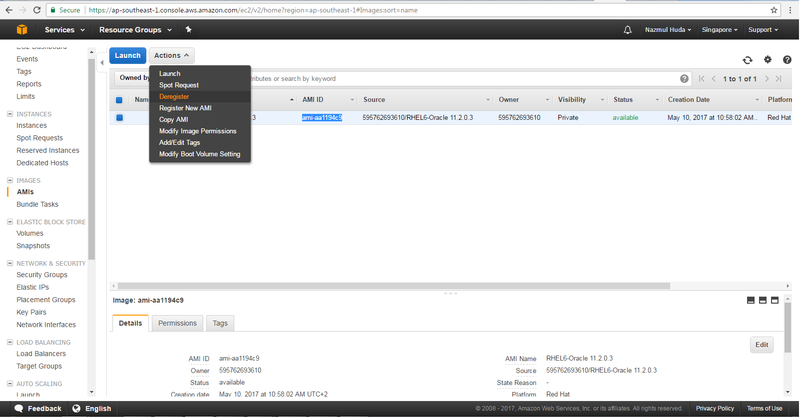 If the AMI is not used Deregister the AMI. 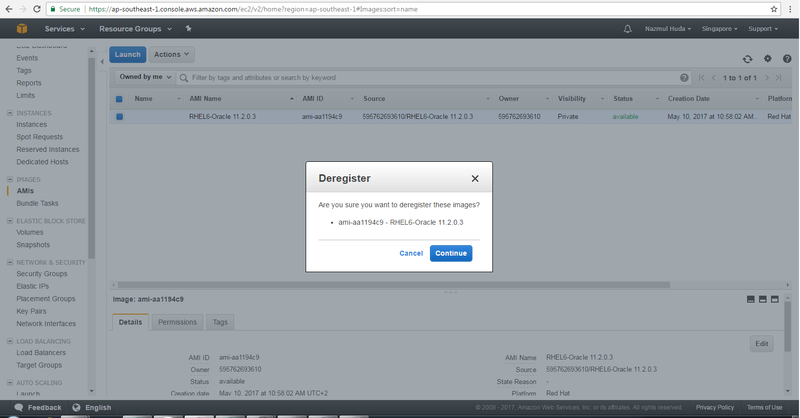 Right click the AMI and click "Deregister"